6. Then, click Back Up. 7. Choose your options in the Backup Settings. This includes adding a prefix to the backup name, choosing to make a multivolume backup, where the backup will be created, and if a notification is desired. 8. 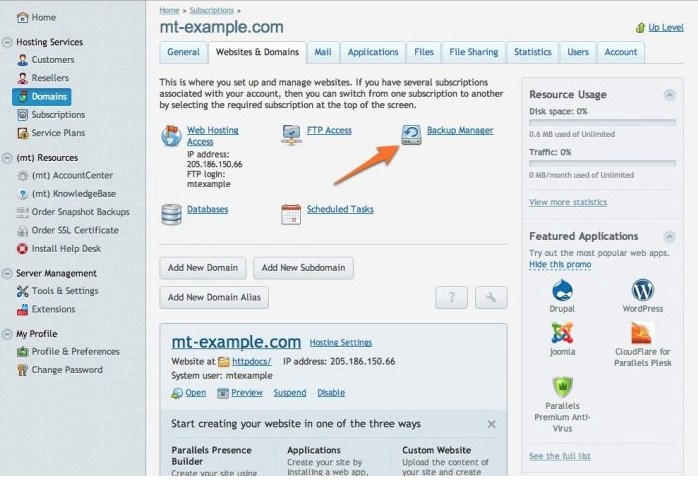 From the same window, choose the Domain configuration and content option. 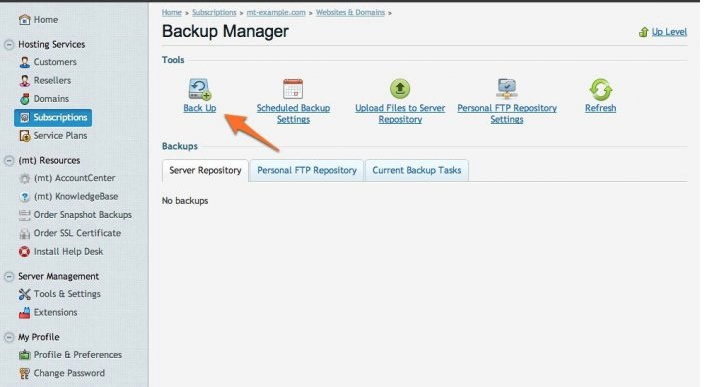 When this is done, the drop down box to the right will become active and you can choose the type of backup you want that will include content for your domain. 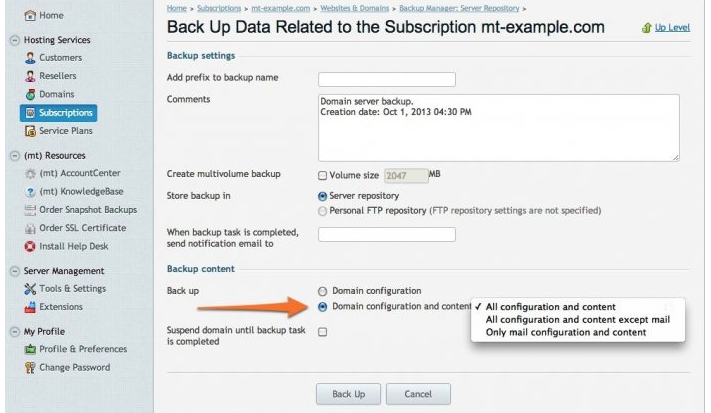 The All configuration and content option will make a full backup of your domain. 9. The last option on this page allows you to suspend the domain while it is being backed up. Suspending the domain will make the domain temporarily unavailable to web traffic while it is being backed up. 10. 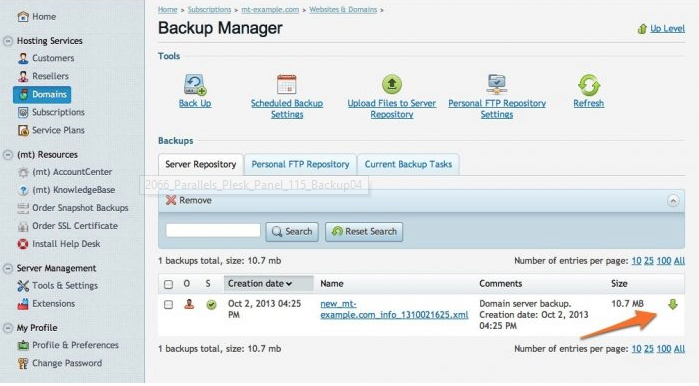 When you are finished customizing your backup, click Back Up to immediately backup your domain. 11. This will return you to the Backup Manager. When the backup is complete, you will see it listed below. You may need to refresh the page to see the new backup. 12. At this point, you may also choose to save a copy of this backup to your local computer. To do so, click the green arrow that is to the far right of the desired backup.